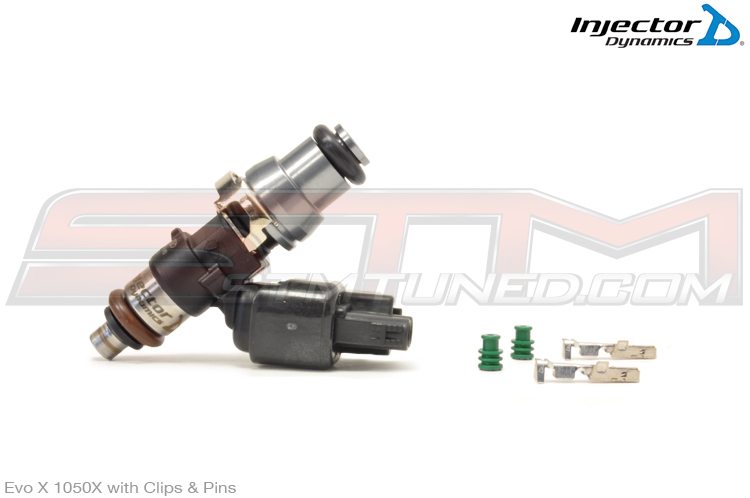 ID1050x, ID1300x, ID1700x, ID2000 Fuel Injectors For Evo X ID1050x, ID1300x, ID1700x, ID2000 Fuel Injectors For Evo X | STM Tuned Inc.
Set of 4 injectors with clips and pins. ID2000 2225cc/min @ 43.5 psi using Gasoline at 125°F 130.5 psi Methanol/Ethanol/All Known Hydrocarbon Fuels. Incompatible with MTBE/Nitro Methane/Nitro Propane. Denso Not required. Direct fit. 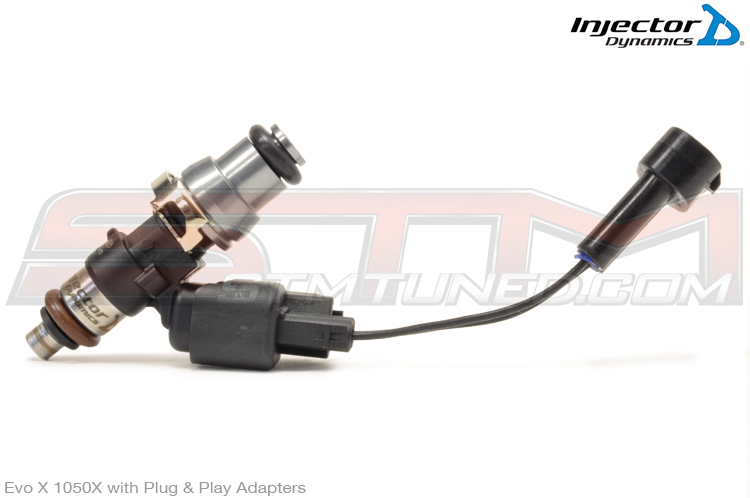 The ID1700x is the most recent offering from the partnership of Injector Dynamics and Bosch Motorsport. The ID1700x was designed to fill the gap between the ID1300x and the ID2000, and like the ID1300x, it features corrosion resistant internals making it compatible with all known automotive fuels. A unique magnetic circuit, resulting from a lengthy development program, makes the ID1700x immune to voltage and pressure sensitivity problems that plague other high impedance high flow injectors. The ID1700x excels at high pressures typical of current automotive systems, and will perform flawlessly in these applications. The ID2000 has set the standard for linearity and control in a large injector. Flowing in excess of 2000cc/min at 3 bar, the ID2000 will also provide a smooth stoichiometric idle on E85, and it will do all this while maintaining strict linearity up to 95% duty cycle at 9000rpm.